The University of Santo Tomas Faculties of Ecclesiastical Studies (also known as UST Ecclesiastical Faculties and UST-Eccle) are the ecclesiastical schools of the University of Santo Tomas, the oldest and the largest Catholic university in Manila, Philippines. Ecclesiastical Faculties consist of academic programs being offered since the University was founded in 1611, which prepare young men for the priesthood and for lay ministry service in the church. The degree programs for undergraduate studies were first offered, where the Faculties of Sacred Theology and Philosophy were founded. The Faculty of Canon Law was established in 1733. The three Ecclesiastical Faculties are organically independent of one another, each one having its own governing body, faculty staff, and students, as well as their particular academic courses and programs. 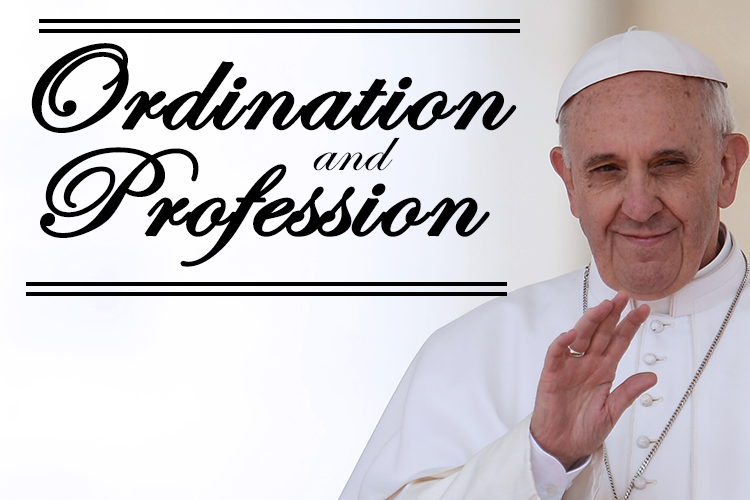 They are entrusted by the Church with the task of preparing with special care students for the priestly ministry, for teaching the sacred sciences, and for the more arduous task of the apostolate. Furthermore, they are enjoined by the Church “to promote the continuing permanent education of the ministers of the Church”. As the primary component of the Catholic University of the Philippines, the Ecclesiastical Faculties share in the University’s responsibility to be an educative community permeated by the spirit of freedom and charity; in particular, the Ecclesiastical Faculties strive to become, in word and witness, a fraternal Christian community, nourished by prayer and the celebration of the Eucharist.